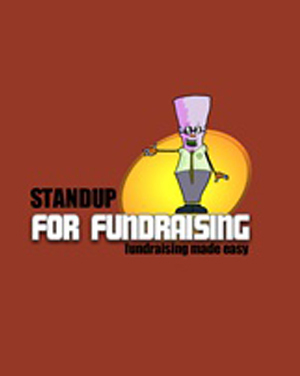 After working with clients in both rural & urban Alberta Callback Corporate Entertainment is aware of the need to fundraise and what better way than with Comedy! 'Standup For Fundraising' is a complete benefit package from Callback Corporate Entertainment. Callback Entertainment can provide a world class auctioneer complete with clerk, ring men and the comedians that will take your live auction to a new level financially while providing an entire evening of entertainment. Callback Corporate Entertainment offers one man, two man and three man shows and support your advertising with posters, handbills, pics and bios. Our acts are also available to do any press required to help sell tickets. Russ Finlay is a world class auctioneer with a quick wit and an entertaining auction style that will have your crowd in stitches. 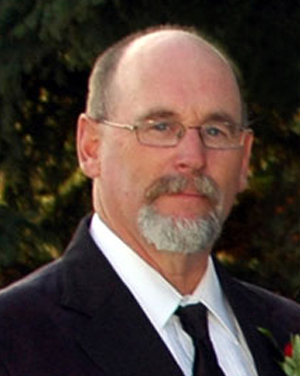 Russ will take your silent auction live or take your live auction to new levels. Andrew Grose is one of Canada's top headline acts with 30 years of live performances to his credit; and can be heard every weekday on Alberta's most listened to radio station: 630 CHED's Afternoon News. Russ Finlay and Andrew Grose are also organizers of the Laughing For Cancer Benefit in Edmonton which has now raised $1,000,000 for the Alberta Cancer Foundation. They will lend their expertise to your function and assist you with planning your event. Combining comedy & dinner has proven to be one of the most successful ways for organizations to raise money and Callback Corporate Entertainment along with the best comedians performing in North America today will give you the ultimate dinner/show experience. For your next fundraiser to be the hit of the town let Callback Corporate Entertainment put a show together for you, tailored to your needs and budget. And yes, to coin an old phrase, you will be laughing all the way to the bank! Choose the package to the right that best meets your needs. We’ll book the performer(s) and auction staff. We'll put you in touch with Andrew and Russ to start building your evening. Russ will contact you to review your auction. The night of the event you sit back, relax and take all of the credit for a great event!